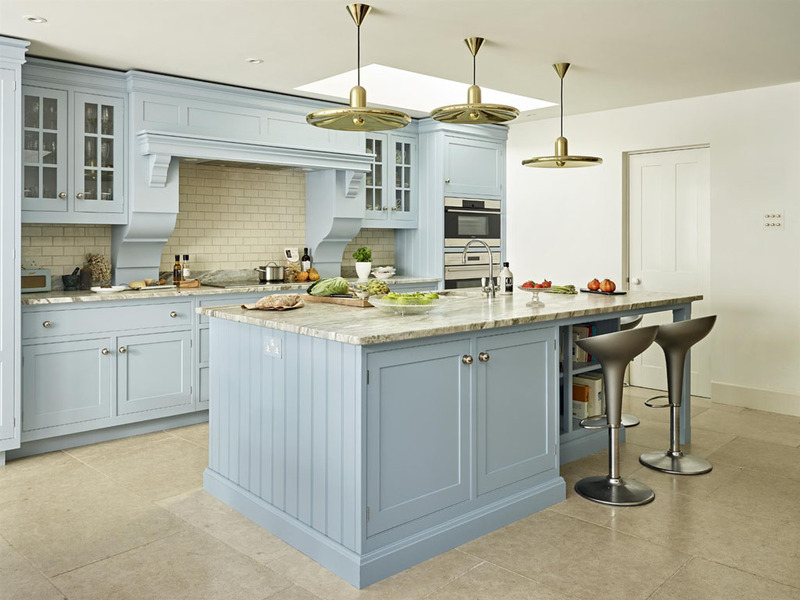 The benefits of a bespoke painted kitchen. There are numerous benefits! The ability to re-paint and freshen up in time, either in the same or a completely different colour is a great benefit. 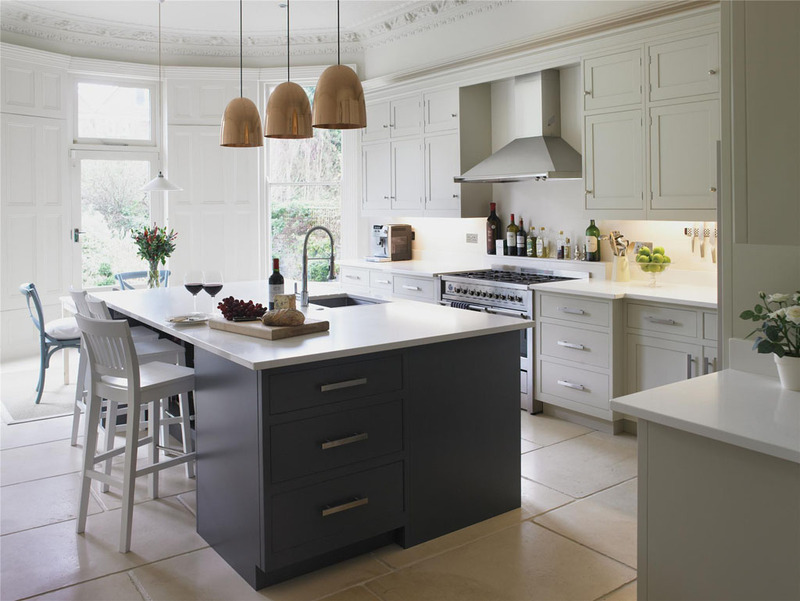 Generally by having a painted kitchen, you are not restricted to colour choice as you would be with say a laminated door kitchen whereby you may only have a limited number of finishes to choose from. This means you can choose from your favourite paint collection, be it Farrow and Ball, Little Greene, Paint and Paper Library etc. 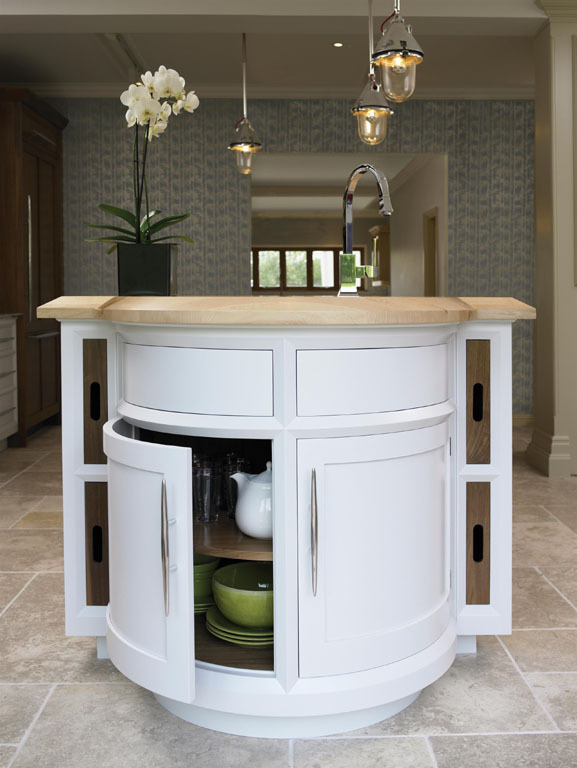 The chances are that the fact you are having a painted kitchen also means that you are having a bespoke kitchen which will probably mean that you can have much more of a free rein in terms of overall sizes and specification, again something you may not have with a pre-manufactured style. Elements to factor in when selecting a colour. Its relationship with the floor and worktops are important. It’s also necessary to consider how the chosen colour will look at different times of the day and how it reacts to shade and natural/artificial light. It’s often the case that to achieve the colour that someone has in their minds eye, a different shade needs to be selected to get the result they require in their own home. It’s important to take proper painted samples to the space and not just paint on existing walls, which rarely gives a good indication due to previous colours bleeding through. By painting an A4 or bigger sample on card, it can be moved around the space at different times of day, to get a feel for what it truly looks like. Latest colour directions and trends. Little Greene offer a ‘grey’ colour chart with 28 options, which I think tells you everything about where the trend still is. You look at the Little Greene chart and go from Loft White to Chimney Brick at the other end of their grey spectrum, with brown and blue hues in between, so picking a grey is good decision as there will be the right shade of it to work in most applications. The effect colour can have on a room. The effect that colour can have on a room can be as dramatic or paired down as you want it to be, but there are many other factors that will work with the colour to create effect. Obviously the light – natural or artificial will play the biggest part. In a deeper sense the colour will have the power to change the mood of the room and of the people in it, which is why chosen incorrectly a room could feel cold, or the wrong choice of grey may result in a room that just didn’t feel that welcoming. Using accent colours and zoning of colours. With kitchen cabinetry, there is always the option of having a number of colours. 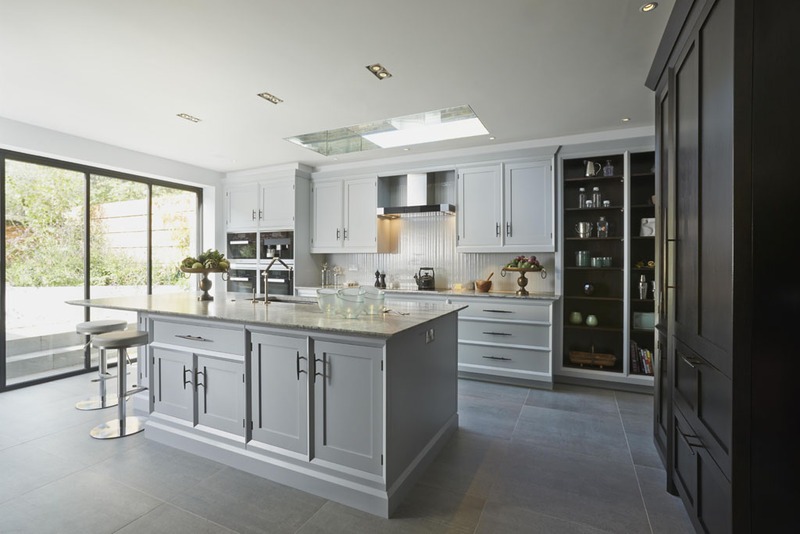 This can sometimes help in the perceived zoning of a room, whereby the main working part of the kitchen in large open plan space for example may be a different colour to cabinetry in another zone that may be within more of a living area. Going for a different colour island can be a bold and visually rewarding thing to do in the right application too. The best complementary materials. Leading on from the accent colours, certainly a leather material on say a bar stool can be used to great effect and interesting fabrics in general. I think tactility is incredibly important, and you can offset the potential coldness from a shade of grey with the use of certain soft materials. Maybe not in a kitchen, but the use of fabric wall coverings can be fun and worth exploring, and then there are the dressings. I think that the final dressing of a room can make or break a finished scheme, and it really does offer up the opportunity to show some personality with different materials through the texture and colour. If you would like to discuss your kitchen then please pop in to the Chelsea showroom and Andy will certainly be happy to discuss your project with you.